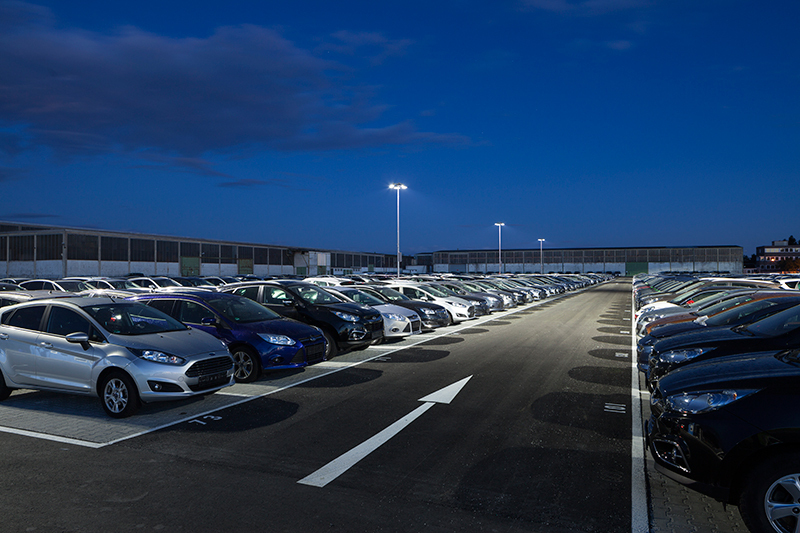 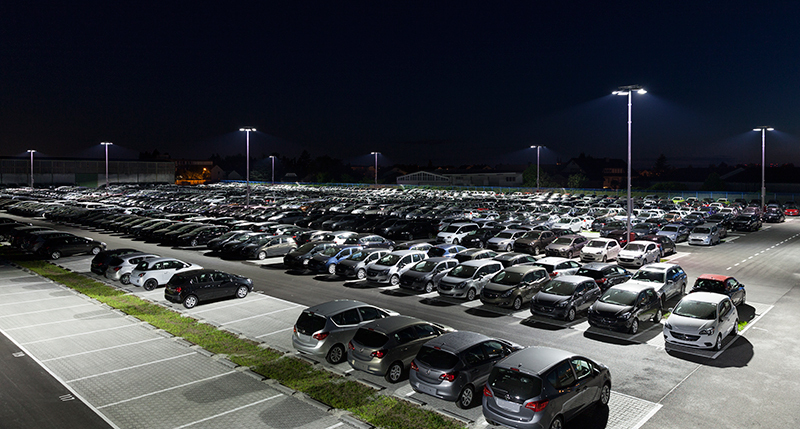 Located in a residential area, the newly built Frankenbach Vehicle Logistics Center in Hesse, Germany needed a lighting system that would reduce light pollution for area residents and help support the facility’s commitment to sustainability. 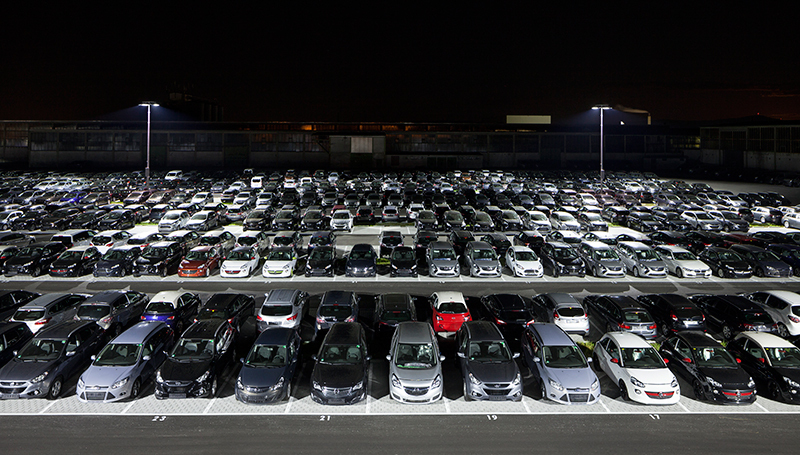 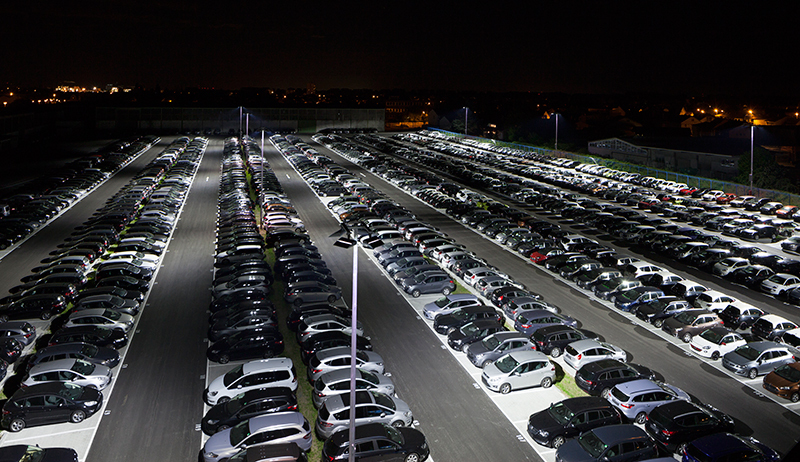 To light the 1,500 vehicle logistics center, Frankenbach officials chose Musco’s Light-Structure Green™ system with an LED light source because of its capabilities in directing light to eliminate off-site spill light and glare into the surrounding residential area. 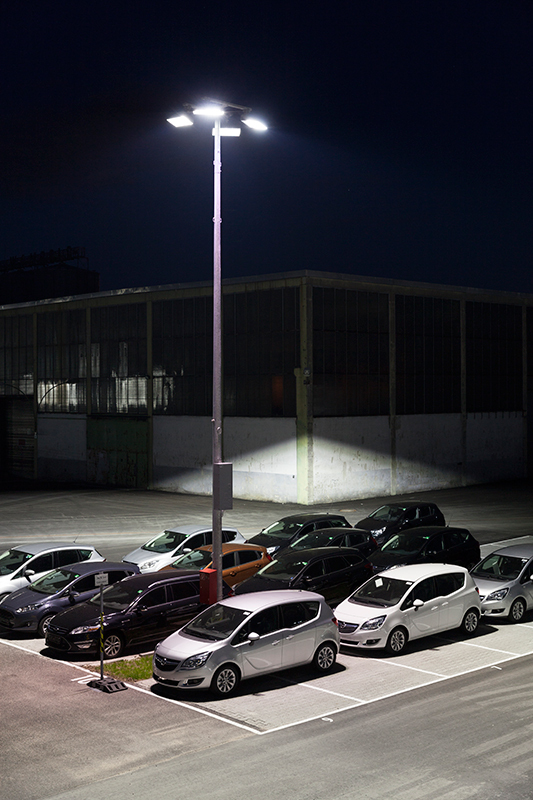 Musco designed a control system which allows Frankenbach to individually dim the lights on the poles that are nearest to the residential properties. 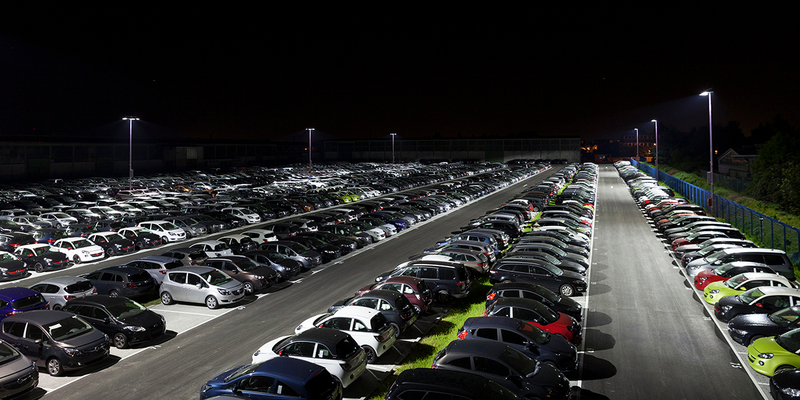 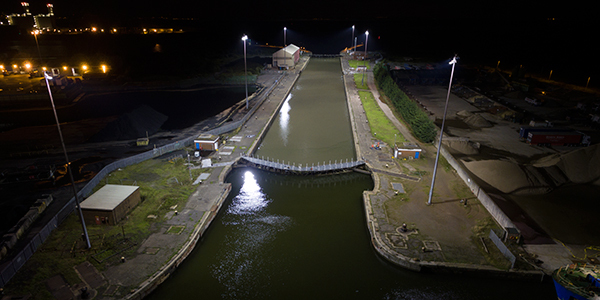 This allows the facility to operate these lights in high-mode only during times of high-activity, such as loading and unloading. 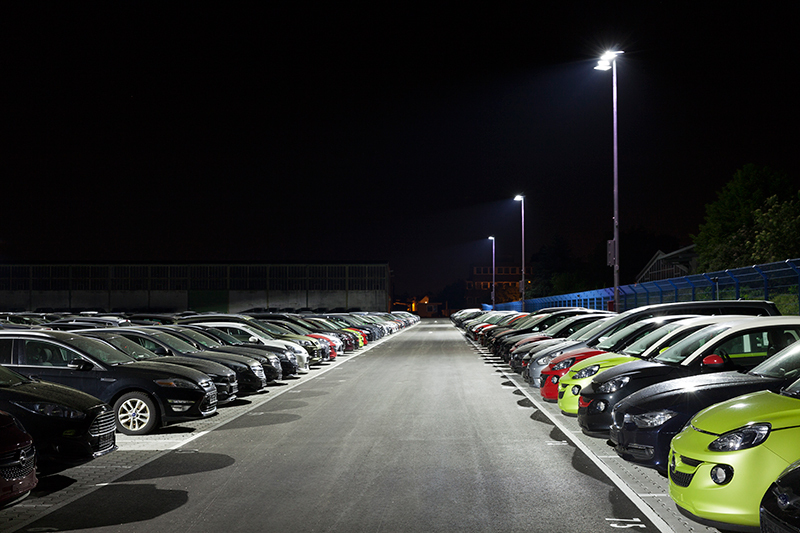 Operating these lights in low-mode 95 percent of the time reduces the impact on neighbors, while significantly cutting energy costs. 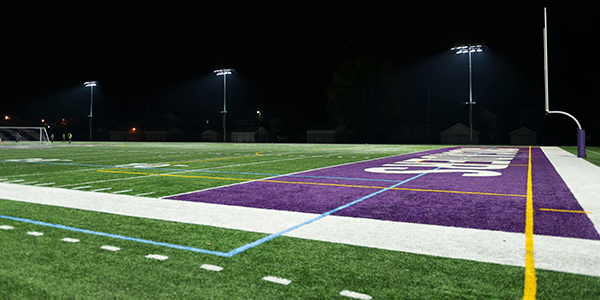 The new system complements the facility’s commitment to sustainability by reducing energy consumption by 77 percent when compared to typical lighting. 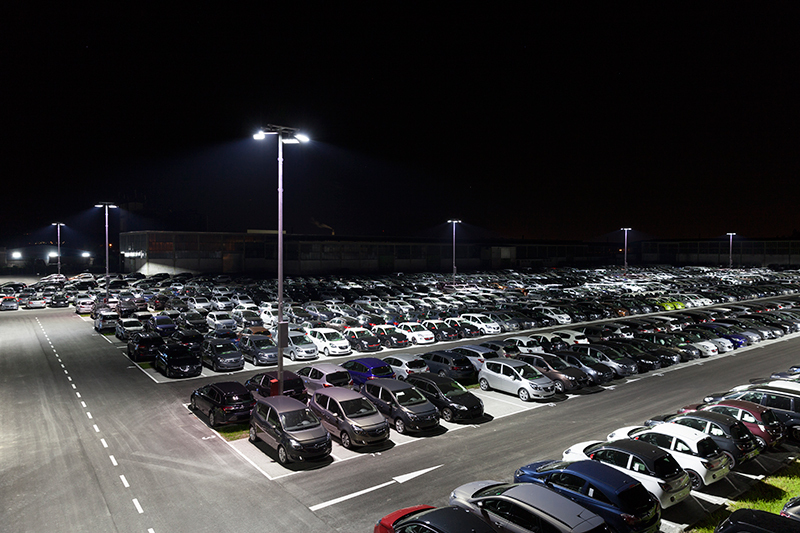 With the long life and efficiency of the LED light source, Frankenbach expects to realize a saving of $575,000 in operating costs over the next decade. 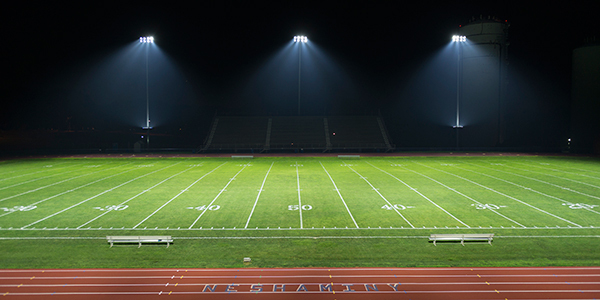 Backed by Musco’s industry-leading, 10-year parts and labor warranty, and a global team of trained technicians, maintenance costs for the lighting system are eliminated.